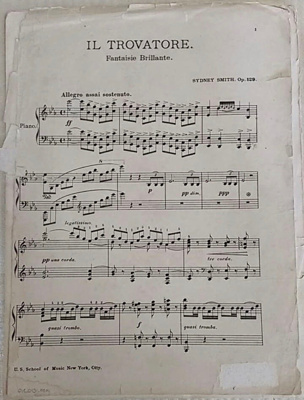 Travtore: Fantaisie Brillante, sheet music for piano, US School of Music, New York City. Sidney Smith. 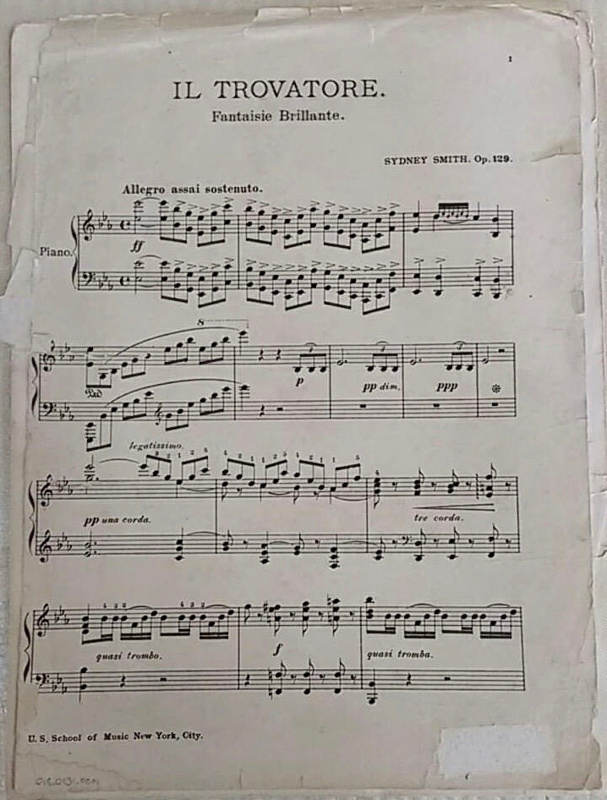 13 pages of sheet music, with end of song missing. Pages are largely separate and kept together with paper clip.